Did you know Piper’s Opera House was burnt down twice? Does Maguire’s Opera House have the same ring? That is the opera house’s original name when built in 1863 by Thomas Maquire, known for his influences with the San Francisco theaters. When did John Piper come onto the scene? Learn the history of Piper’s Opera House through the years and take a tour of this Virginia City and Storey County gem. One visit to Virginia City and you know it’s special. Wooden boardwalks. Old time saloons. History that runs as deep as the mines that once consumed the landscape. It’s the real deal. And has been known to create a spark or two. For those, a wedding a Piper’s Opera House is the perfect dream location to begin a life-long journey. Booking your wedding is just the first step to creating an experience that you and your guests will remember for a lifetime. 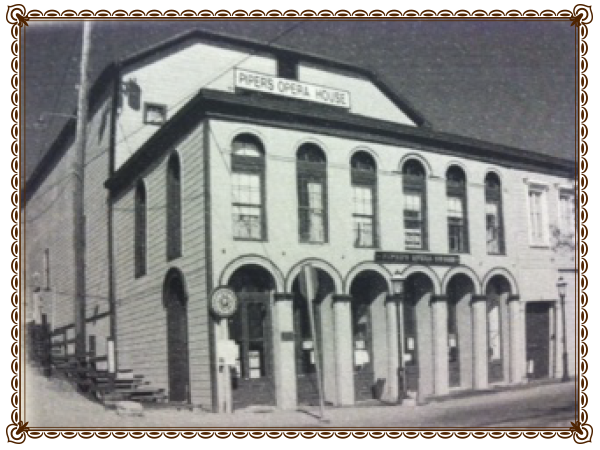 With a history dating back to the 1860s, Piper’s Opera House attracted famous stars from the United States and Internationally. It’s listed by the League of Historic Theaters and has been called one of the most significant vintage theaters on the West Coast. Learn more.